Удобна седалка за работа по дървета с използване на техника на двойното въже. The SEQUOIA is a tree care seat harness for doubled rope ascent techniques. It is designed for the arborist's comfort. The SEQUOIA harness waistbelt is equipped with a FAST automatic buckle for quick and simple opening and closing, without loss of adjustment, even while wearing gloves. The extra-wide, semi-rigid waistbelt and leg loops give excellent support. 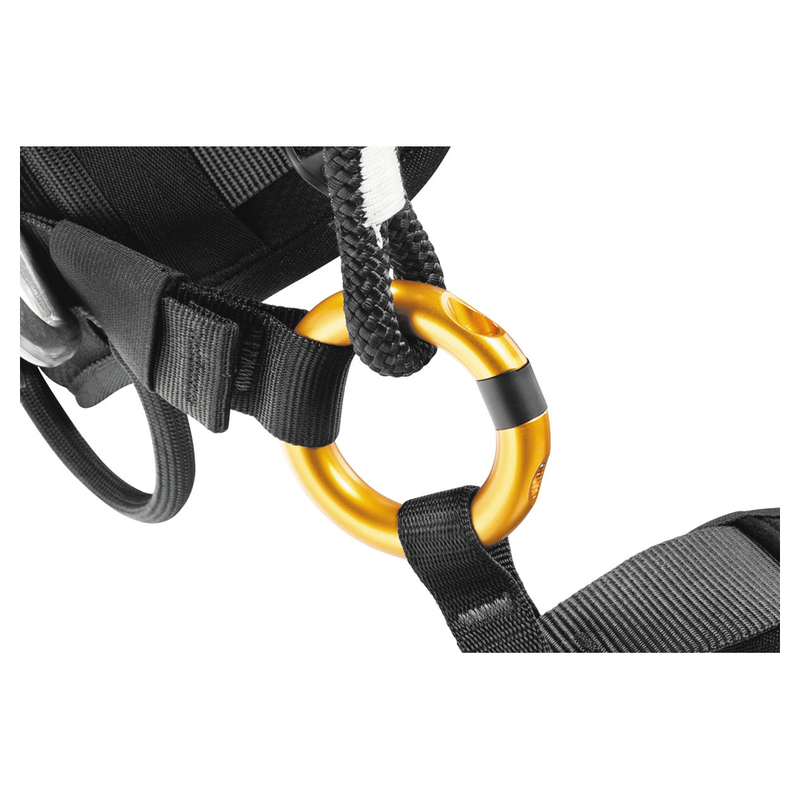 The attachment bridge is linked to two gated rings, allowing its length to be adjusted and accessories to be installed directly on the bridge. 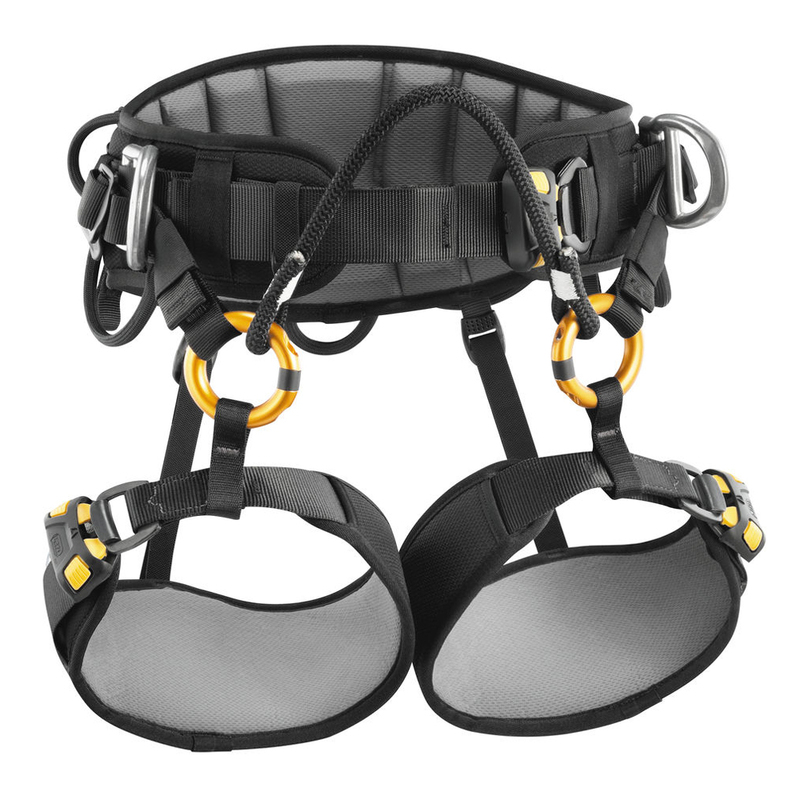 The harness also facilitates carrying and organizing work tools, with multiple equipment loops and retainers for attaching CARITOOL tool holders.